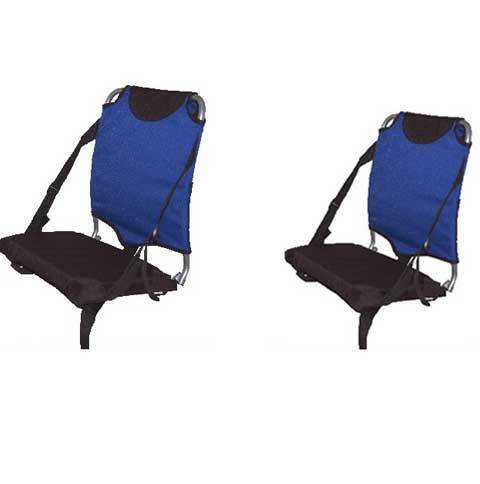 Travel Chair 1669 2-Pack High School Stadium Seat with Support Straps. The Bottom Line: Tired of sitting uncomfortably on the stadium seats watching high school football games? Tired of sitting on a freezing cold bleacher? 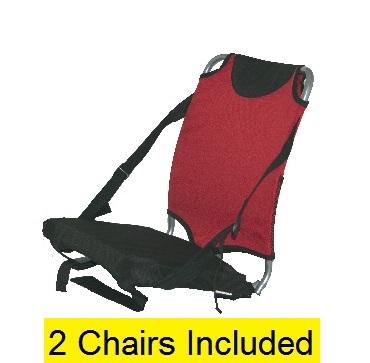 This stadium chair package of two is great for any performance function. It is soft and the back is higher than most stadium chairs. The seat cushion protects you from the cold. The site straps ensure stability and comfort. 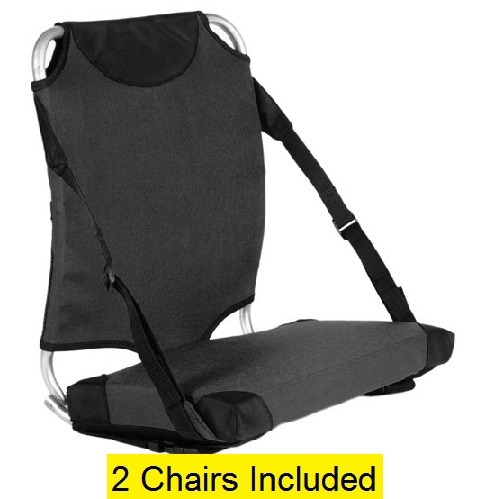 The straps also allow you to fit onto any stadium bench. 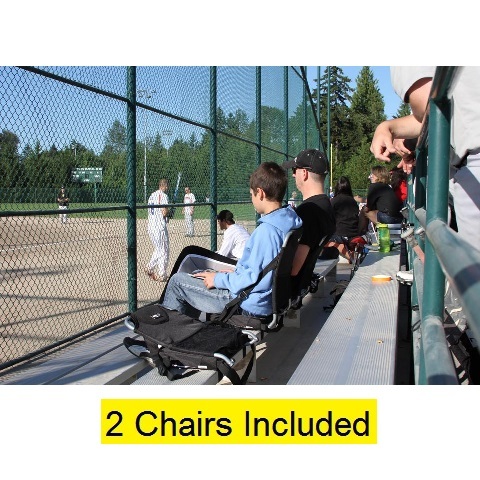 Now you can enjoy your favorite sporting events with a friend or family member with this two pack of stadium chairs. Available in different colors to match your style. 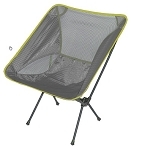 Folds up to allow quick transportation and convenient storage. Available in Red, Black, Blue, and Navy. Q: How many chairs come in a two pack? A: Two chairs are included. This will save you money buying two together instead of two separately. Q: What is the weight capacity on the stadium chair? A: The chair can accommodate up to 250 pounds. 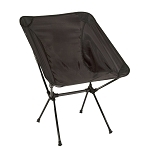 Q: Can this stadium chair be used in the rain and snow? A: Yes, it is made to withstand all seasons. The material is made for outdoor use and includes a Powder-coated finish on the metal parts to prevent rust. Q: How do I clean the stadium 1669 travel chair? What cleaners can I use? A: Simply use soap and water with a damp cloth. Please do not use bleach or soaps that include bleach as it could discolor the material. There are no videos at this time. 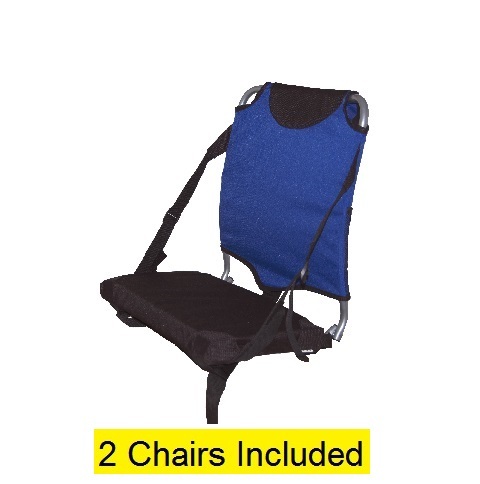 Feel free to send us a youtube link of your video for this 1669 stadium travelchair to post. Shipping time: Generally ships in 24 business hours. Ships from Gig Harbor, Washington. Takes about 2-3 days to the West Coast and 5-7 to the East Coast. Please contact us immediately if your item arrives damaged. We will replace it for you. Dimensions: 17" x 10" x 3"